Join us and our dogs on a sleigh ride in the winter paradise. 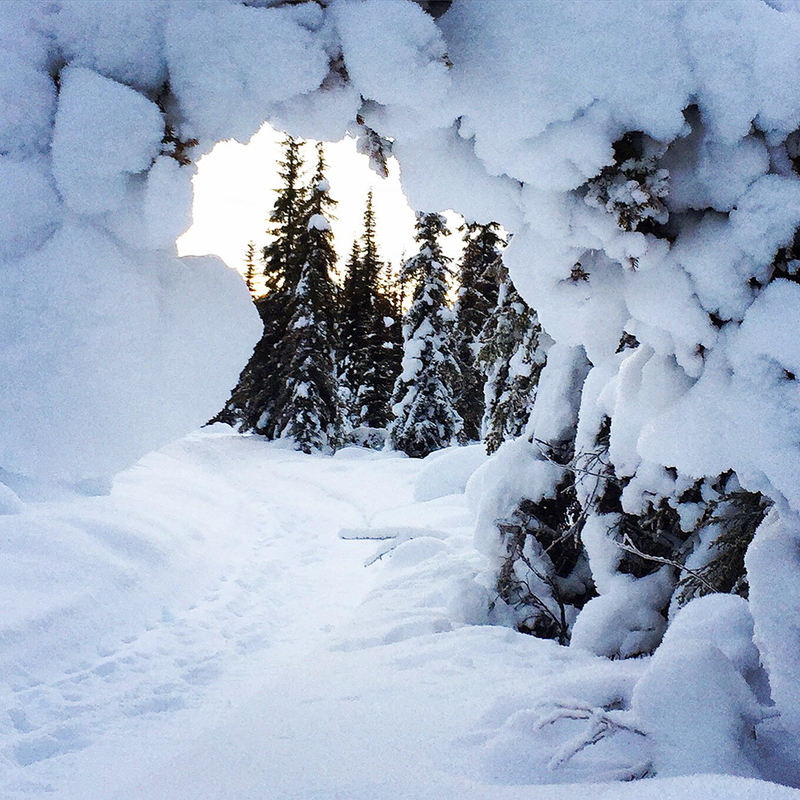 Our sled dogs takes us easily and quickly through the winter landscape in the same way as other Arctic people before us have traveled. Through forests and marshland extends our journey. 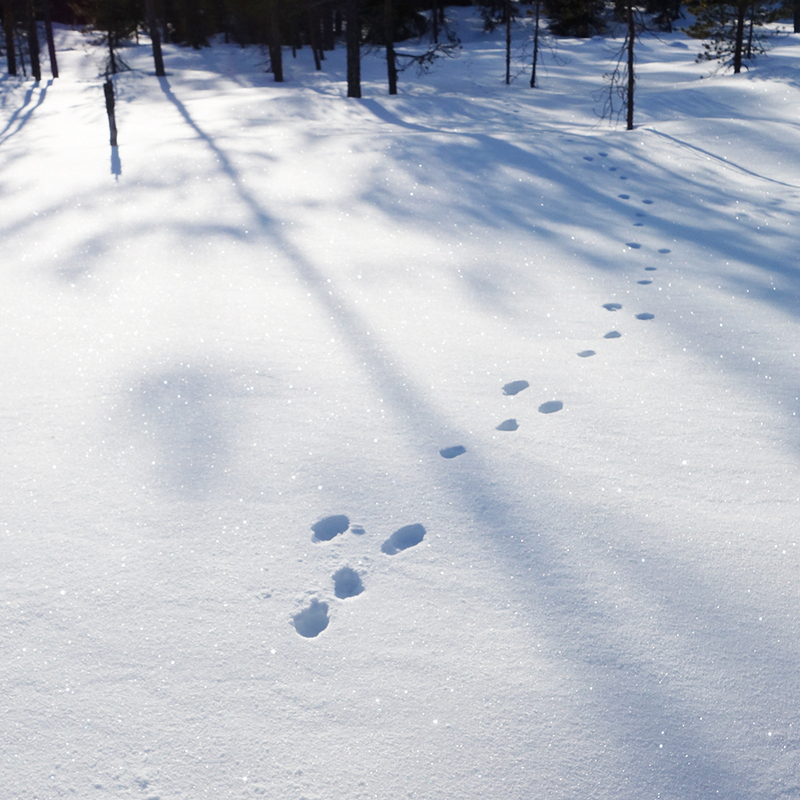 On the snow are visible traces of wilderness inhabitants, the wild animals. Dog sledding tours with Nymånens Siberian huskies in Auktsjaur. Our sled dogs are Siberian huskies. Polar Dogs who throughout history have been adapted to the Arctic climate. Their coats are dense and warm, the paws strong and durable. They can run long distances at high speed with load on the sled. Their bodies are athletic and the dogs enjoy running. They are humans best friends and we love them! Book dog sledding with us! We offer every day during the winter season two trips per day. The tours start at 10.00 and 13.30. This is our most popular tour and it is suitable to combine with other winter activities during the weekend. No experience is required to participate. Bring warm and comfortable clothes. And of course, if you like, a camera. The entire activity takes approximately 2 hours. A visit to our kennel is included and we talk about the dogs, their training and care. We run with 10-12 dogs in the team and guests travel on large stable sleds. The tour is about 15 km long and runs through varied terrain. The guides who drive dog teams tell about nature and shows the tracks of the wild animals that moved over the snow. Contact us by email or telephone with requests for business groups, larger groups or groups who want a private tour or event. We are flexible and can provide suggestions for different tours to suit our customers own requirements. 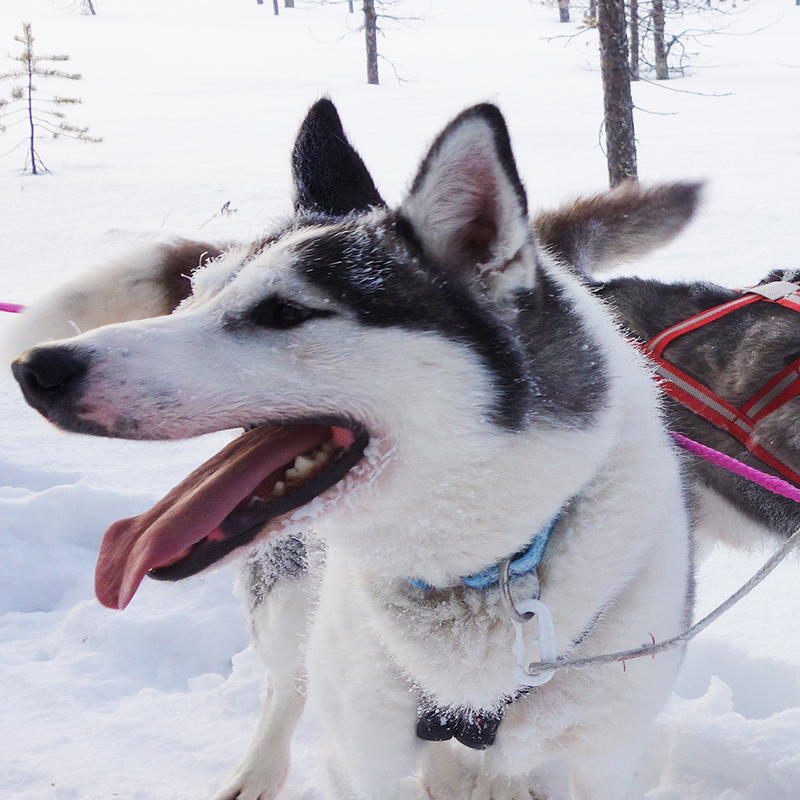 During weekdays, it is easiest to get a booking on our dog sled tours. We accept reservations for all days during the season.